INMO is an acronym for India National Mathematical Olympiad. INMO is second step of the ladder for International Mathematical Olympiad (IMO). INMO is organized by Homi Bhabha Centre for Science Education (HBCSE) on the behalf of National Board of Higher Mathematical (NBHM). INMO’s only aim is find mathematical talent in our country and build an elite team of Mathematicians for IMO. Students who qualify INMO examination are invited for International Mathematical Olympiad Training Centre (IMOTC). In this post we aim to provide you detailed information on INMO eligibility criteria, schedule, registration process, exam dates, selection procedure, result and previous year papers. 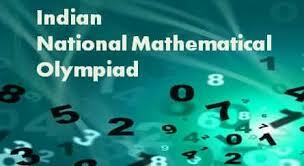 There is no specific process for India National Mathematical Olympiad registration. The students willing to participate in INMO 2018 will have to first take and qualify Regional Mathematics Olympiad 2017 (RMO 2017) by finishing in Top 30 scorers in his/her region. The RMO is organized is 25 regions all over the country by the three conducting authorities namely Central Board of Secondary Education (CBSE), Navodaya Vidyalaya Samiti (NVS) and Kendriya Vidyalaya Sangathana (KVS). You can find the registration process for RMO here. The syllabus does not include calculus and statistics. The syllabus is of class XI and XII levels but are bundled with higher difficulty level and sophistication. India National Mathematical Olympiad 2018 examination will be a three hour written test. The INMO 2018will have only six problems. These six questions will be descriptive in nature. India National Mathematical Olympiad (INMO) 2018 is the second step in the ladder for International Mathematical Olympiad competition. Out of around 900 students sitting in INMO 2018 examination, only 30 students will be selected and in addition 5 more girl students will also be selected. Merit certificates will be distributed to the performers in INMO 2018. To get an idea of the level of the INMO examination we are here attaching some of the INMO previous year papers. The links are given below in the table. The result for India National Mathematical Olympiad has not been published yet. The INMO result is usually published in the month of March every year. We will be updating the links here as soon as INMO result 2018 is published by the authority. The eligibility criteria for India National Mathematical Olympiad 2018 is quite similar to RMO. The INMO 2018 eligibility criteria is given below. Should be born on or after 1 August, 1998. Must be studying in class XI or below. Must have qualified Regional Mathematical Olympiad 2017 or received INMO certificate of merit in 2017. NOTE: Class XII students are not eligible for India National Mathematical Olympiad 2018.